Field Trip now shares your Basecamp activity in Google Hangouts Chat. We originally built Field Trip to replace our Basecamp email notifications with helpful Slack messages. 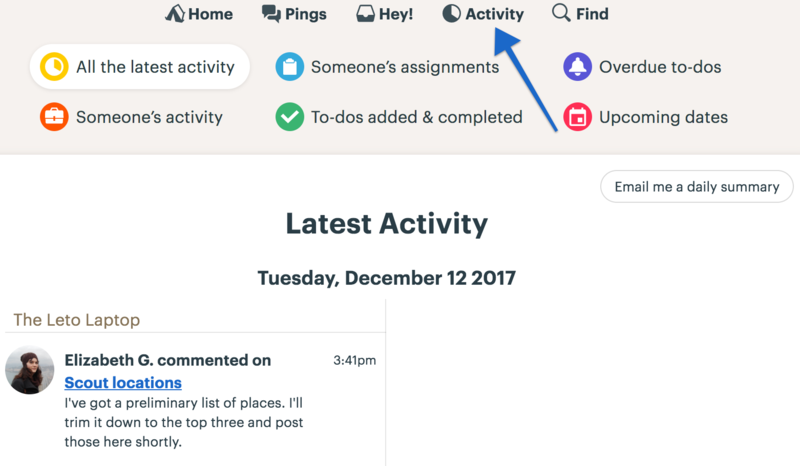 It was an app designed to make our small team spend less time in email and more time focusing on work happening in Basecamp. Less than a year later we’ve had thousands of users let us know that Field Trip helped make their Basecamp 2 and 3 experiences better! Field Trip has been VASTLY more popular than we anticipated. So when Google reached out and asked us to add Hangouts Chat support, we jumped at the opportunity… Right after we recovered from our collective shock that Google actually reached out to us! Google Hangouts Chat and Slack are fundamentally different platforms. Thanks to the support from the Google Hangouts Chat team, we redesigned Field Trip to integrate seamlessly with the Hangouts Chat user experience. 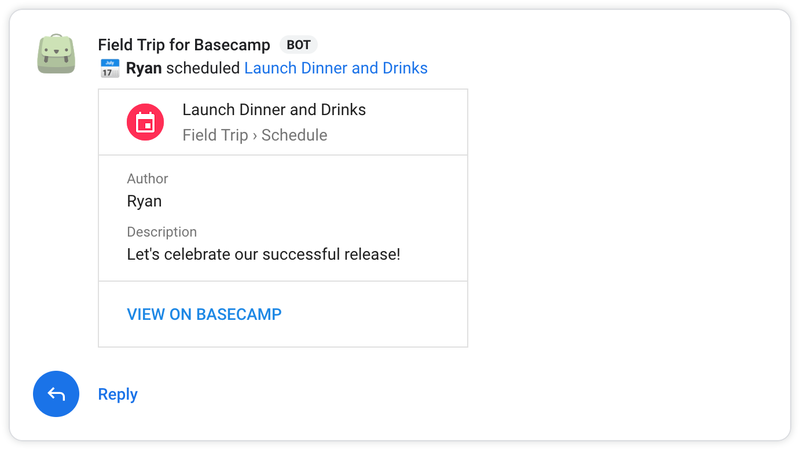 From within Hangouts Chat, you can discover, install, and setup Field Trip with complete Basecamp 2 and 3 support! We kept it simple, all you need to do is choose a Basecamp project and a Google Hangouts Chat room. Then any Basecamp activity added to your timeline is sent to the Hangouts Chat room that you picked. That’s it. We’re continuing to add Field trip features and your suggestions help us find what we should be building next. So email us at hello@enjoyfieldtrip.com. We can start working on what’s next together!